It’s that time of the year when the madness known as the Festival Fringe Edinburgh, or as I’ll call in in this post the Fringe Festival 2016 is upon us. 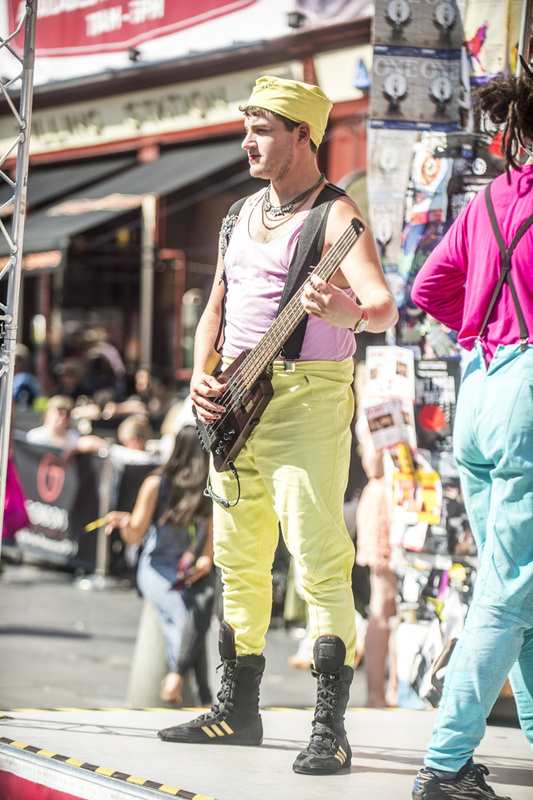 If you don’t know anything about the Fringe and can’t be bothered to research, the Fringe is basically the largest peforming arts festival in the world. For three weeks in August, millions of people will come to Edinburgh to check out all kinds of shows. Shows can range anything from a child sleeping in a room to a stand up show with Al Murray and anything in between. There’s drama, dance, music, magic acts, all sorts. After living in Edinburgh for a few years I really have mixed feelings about the Fringe Festival and especially the Fringe Festival 2016. While it’s ultra cool that we have something like this in Edinburgh it makes Edinburgh even more expensive than it already is, the roads are an absolute nightmare and if you need to go into the city centre for anything it’s hell. I have to drive through Edinburgh city centre at least twice a week and what should be a 20 minute journey through town becomes an hour. You also have all the tourists in their cars cutting you up because they are confused about where they are going. Then you have the total and utter shits that are the council that, and pardon my language, every bloody year (restraining myself from using the f-word), decide to dig up the roads in Edinburgh during the Fringe. I tried to drive somewhere this Tuesday and Queensferry Road, which is one of the busiest roads pretty much anyway, had roadworks and the road where I had to work on also had roadworks. The council made it almost impossible to travel West. So, in conclusion, Edinburgh Council are complete and utter bastards! But coming back to why I have mixed feelings, well, I don’t really get a chance to see shows. Liv and I work strange hours and we have Amelia who’s 4.5, plus we have no family help, so seeing anything is difficult. Around the year 2000 the free street acts were awesome but somehow the acts all seem the same. You have the usual drama students lying (acting) dead on the floor, some balancing acts and just the same acts. A few years ago there was the awesome Zic Zazou performing on both the street and in a show and acts like I Am Gilly (pronounced as this but not sure on the speliing) but no more. Still,, there are always still many characters to photograph and it provides good traffic to my website to share some photos. My mother came up to stay with us last weekend so I went into Edinburgh with her and my daughter one afternoon and I also shot a wedding at Lothian Chambers this afternoon so spent half an hour wandering around taking photos. A wee note, carrying a 4.5year old 20kg child on your shoulders while shooting with a Nikon D4 and 70-200 2.8 lens at the same time is really challenging. That was definitely my workout for that day.